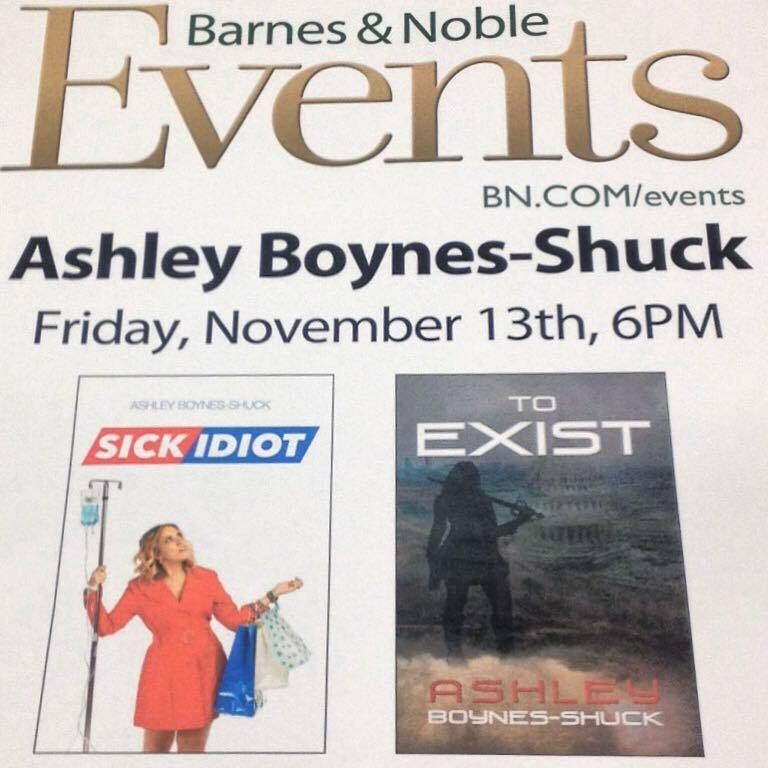 On Friday, November 13th, 2015, Ashley Boynes-Shuck will be selling and signing copies of both her books (To Exist, and Sick Idiot,) alongside other local authors. This book signing event will be held at the Settler’s Ridge “Barnes & Noble” store in Robinson Township, Pittsburgh. Join us from 6pm EST to buy your copy and/or have your copy signed, and get a photo with Ashley! The event will end between 8-9pm. 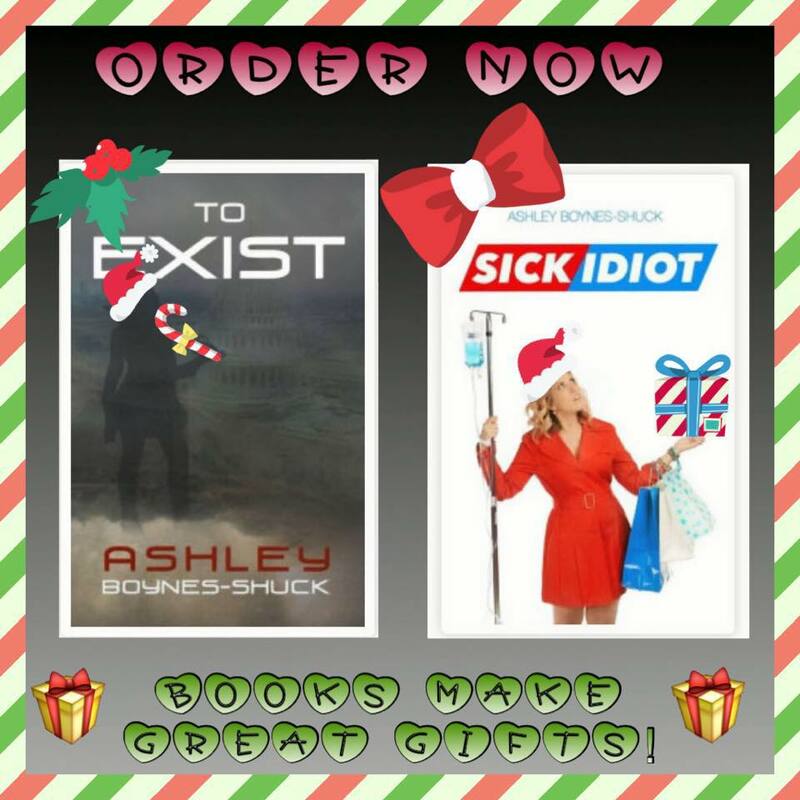 *** AND a portion of all proceeds from Sick Idiot will go to charity, PLUS from now through Dec. 15, one kids’ book will be donated to Children’s Hospital of Pittsburgh for each copy of Sick Idiot that is sold. Remember, books make great holiday gifts. For info on the event, click here. Check out other events and appearances, here. Next Next post: Gourmet Chocolate Goes to the Dogs … And a Good Cause!